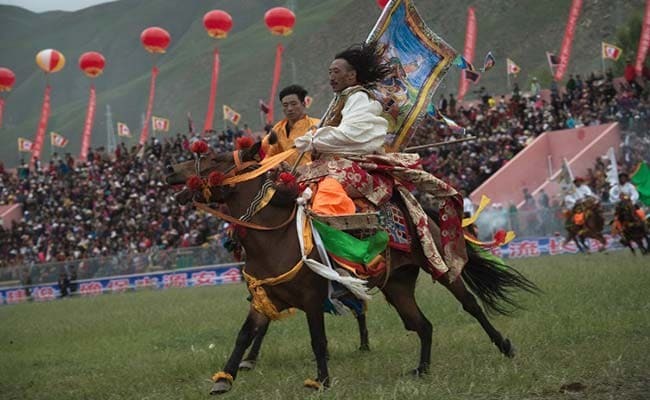 YUSHU, CHINA: Thundering across the vast Himalayan plateau in their traditional finery, Tibetan horsemen gather for an annual riding festival which is a colourful feast for the eyes. Multi-coloured prayer flags inscribed with religious texts flutter in the breeze and tents line the green hills surrounding the racing ground in Yushu, in the northwestern Chinese province of Qinghai. 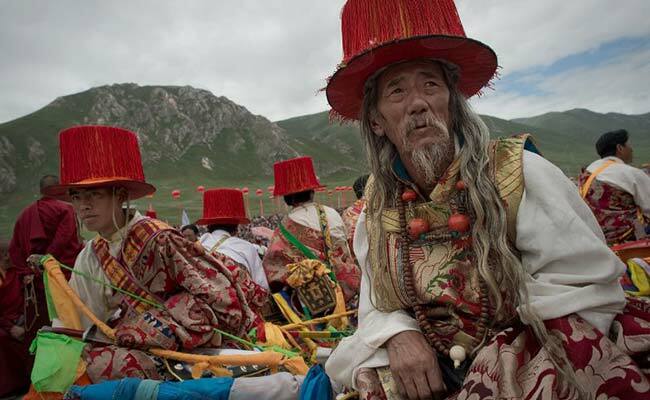 The area is home to many of China’s eight million strong Tibetan minority, some of whom chafe against Chinese rule. 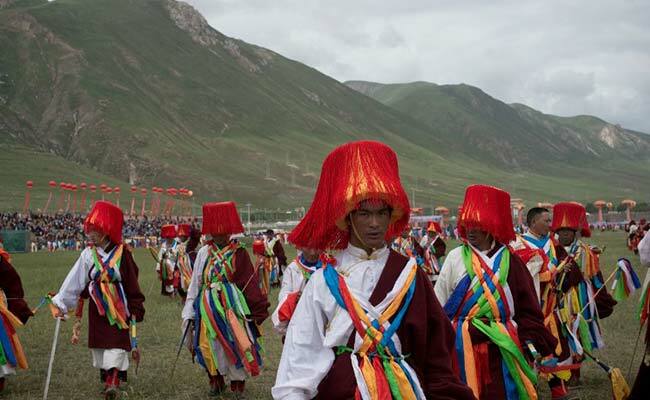 Spectators at the event — including local Tibetan women in traditional dresses known as chuba, and monks in red robes — filed past state security personnel in green uniforms to enter a stadium built by the local government. But the atmosphere was relaxed and jovial. One woman in a blue and orange dress stood in front of a pyramid of prayer flags, brandishing an umbrella to protect herself from the harsh sunlight of the high-altitude plateau. The real draw are the horses — brown steeds bedecked in yellow and green ribbons, mounted by riders whose long hair flows in the wind beneath azure skies. The Tibetan people of the area — known as Kham — are famed for their equine skills. Shows of horsemanship and archery are the festival’s main events, drawing hundreds of spectators. 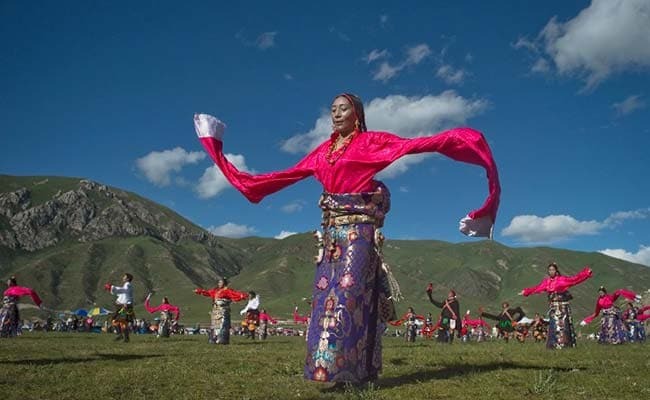 Government officials say that they hope to use the festival to showcase Tibetan culture and bring tourism to the remote region. But entry to the stadium for the opening ceremony was by ticket only even for locals, with a cordon and metal gates keeping out some would-be attendees — in contrast to the free access of times past, when the event was held on open grassland. Beijing says its troops “peacefully liberated” Tibet in 1951 and insists it has since brought development to a previously backward region, where serfs were exploited. But many Tibetans accuse officials of repressing their religion and eroding their culture, adding that natural resources are exploited to benefit China’s ethnic Han majority at the expense of the environment.